Social media is a great tool for job seekers but it’s also a double-edged sword. It can increase your networking potential and maximise your visibility to recruiters, hiring managers and decision makers. However, it can also call unwanted attention to your job search or present a less than ideal impression from your online movements. Here are a few tips on how you can stealthily manage your social media activities to maximise your exposure without sacrificing your privacy. Review your account and privacy settings. Turn OFF your activity broadcasts before you start updating your profile. This will also turn off updates when you follow new companies or add new connections. You should also select who can see your connections. Follow best practice and choose “Only you” to maintain discretion. This option will prevent everyone, even your first degree connections, from seeing your other contacts. Make sure that the primary email account you are using on LinkedIn is not your work email address. If you’ve upgraded to LinkedIn’s premium Job Seeker account, switch off the Job Seeker briefcase badge and opt for the general premium “In” badge instead. Do not post or change your headline to “seeking a position as ….” regardless of whether you are connected to your colleagues or not. A better alternative would be to let people know of your intent and generate leads by sending messages to your contacts privately. LinkedIn groups can make networking easy. However, if you’re going to join a group for job seekers, make sure that it is a “closed” group so that your posts are only available to other members. You should also make sure that the group’s logo is not visible on your profile. To do this, go into Edit Profile mode and edit your group visibility settings. If you’re going to ask people from your current company for recommendations, start with your colleagues who have left the company. It’s less suspicious when ex-colleagues provide recommendations for your current job. Following recruiters, headhunters and other Twitter accounts that post jobs actively may ring alarm bells for your employer. To avoid this, add accounts to a private list instead of following them. You’ll still be subscribed to their tweets, but only you will know exactly which accounts you’re monitoring. Do not reply to a job vacancy by sending a tweet with a link to your resume or LinkedIn profile. Send the person a direct message instead. All tweets are publicly available and indexed by search engines by default so it’s probably best to keep your interest in new jobs on the sly. Even if you’ve covered your tracks on LinkedIn and Twitter, there’s still one social network that can derail your whole job search. Your personal activities on Facebook might not be in your current employer’s radar but if you’re not careful, it might still raise red flags for any potential hiring manager. In light of the recent changes to Facebook’s privacy settings and the launch of Graph Search, you should be aware of what kind of information about you is now accessible to the general public. 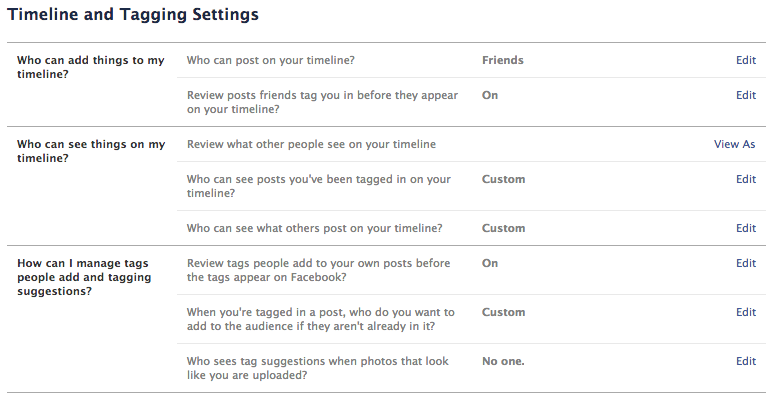 Thankfully, Facebook has simplified the Privacy Settings section for your account. If you were using the “Who can look up your Timeline” feature to hide your profile, you will soon receive a message from Facebook notifying you that this feature is no longer available. What this means is that ALL Facebook users will now be searchable through the site’s Graph Search tool. The only way to prevent people from finding your profile going forward will be to block specific users from viewing your account. Restrict the visibility of your future status updates and posts so that only your friends can see them. Otherwise, all your posts will be publicly available and indexed by search engines. Apart from your future posts, you can also limit the audience for your past posts. This is a good idea especially for employees who would rather not have photos and antics from their college days or past office parties accessible to everyone. Finally, change your settings so that any of your friends’ posts or photos tagging you will require your approval before being visible on your timeline. This stops unwanted photos of you being publicly available on Facebook without your knowledge. Do you have any other tips on how to stay in “stealth mode” while using social media in your job hunt? Post your ideas in the comments section!